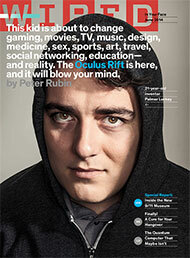 Get WIRED for less than $1 an issue and save 83%off the newsstand price! WIRED delivers the intelligence readers need on the topics that matter most: Technology and innovation. Science and medicine. Business and global politics. Arts and culture. The best new products and more. Subscribe Now!